Wineware's Top 5 Champagne Gifts for Christmas! We’ve drawn together out Top 5 Champagne Gifts, ranging from glassware to helpful little accessories to enhance your champagne experience! To celebrate in style, champagne glasses are a must! If you’re stuck for choice, our vast collection of different glasses should help you. 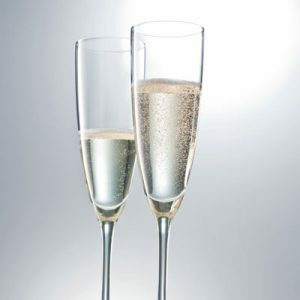 We offer a variation of different champagne flutes, saucers, tulips, tapers and many more different styles, perfect for toasting to Christmas, new year or a special celebratory moments! This little Champagne gadget from VacuVin has three different functions in one…a champagne saver, a champagne pourer and a champagne stopper! It’s non-drip which is perfect when serving with a ‘patented’ pull down bottle grip for easy use. 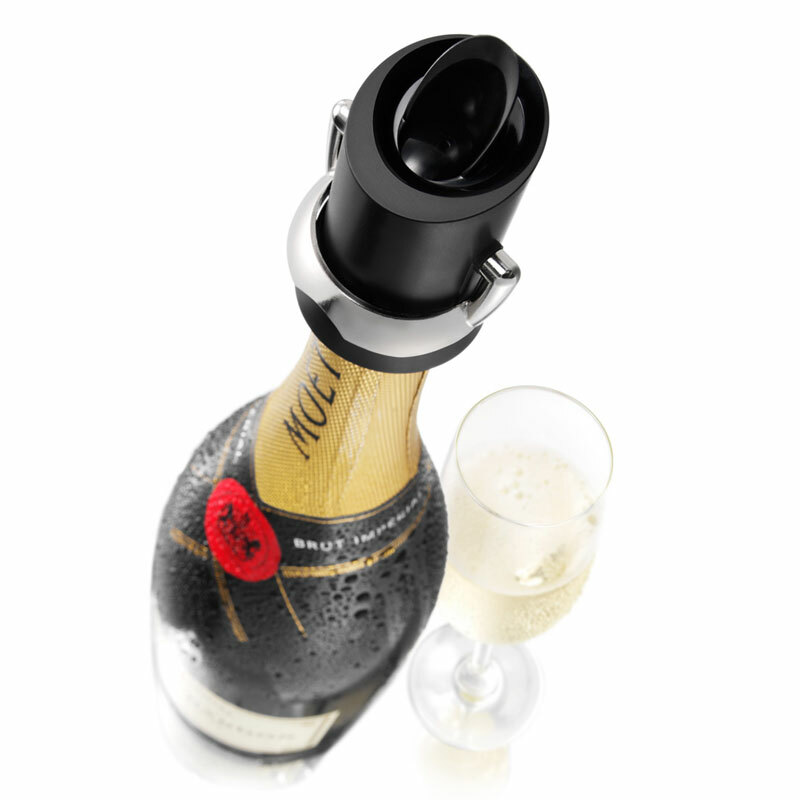 Using this saver slows down the oxidation process in turn keeping your champagne tasting fresh from the first pour until the last! Fits most champagne bottles. Enjoying Champagne to its fullest is making sure it’s drunk at the correct temperature, keeping it cool is a must! 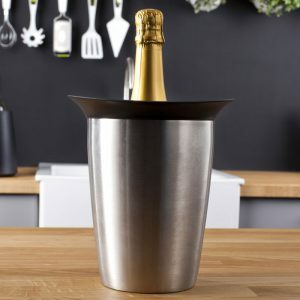 So if your friends and family are keen to celebrate, our collection of champagne coolers and chillers are a must, you could even just treat yourself instead! We have the traditional bucket chillers and the modern chiller ‘sleeves’ which you simply store in the freezer and slip over the bottle when required! This easy to use champagne and sparkling wine opener is designed to easily remove the foil, the wire and the cork in just a few seconds! 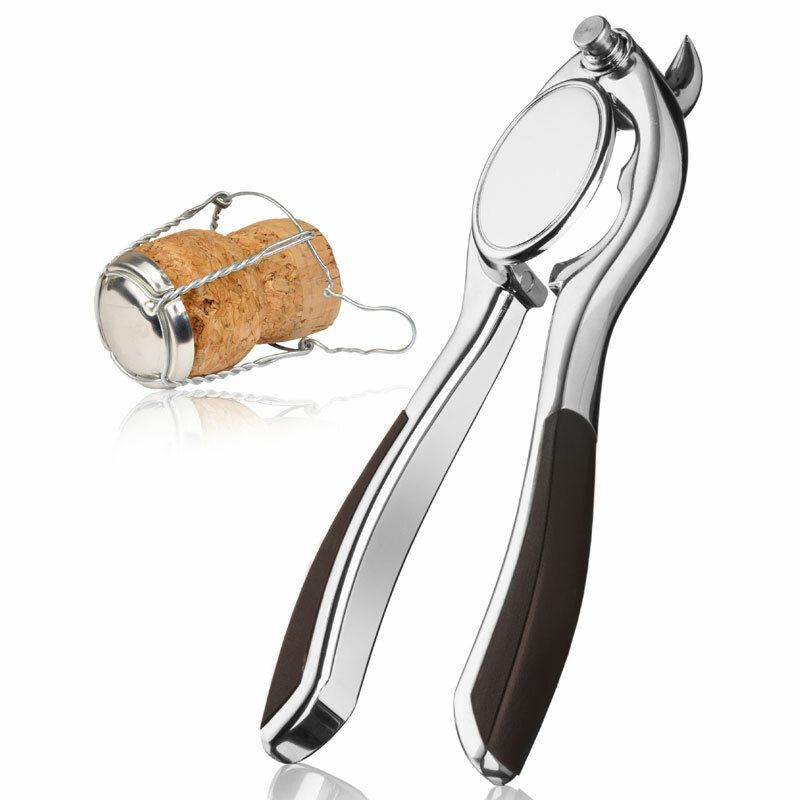 This little gadget prevents you chasing the cork around the room and allows you to effortlessly and safely remove the cork. This little gadget is sure to speed up the opening process and makes it a lot more easier! This large Champagne Cork looks like it’s just been popped from a giant bottle of champagne! These unique pieces of furniture are available in 3 different styles, Champagne, Wine and a collection of corks in the shape of a Wine Cork. They look fantastic in a bar environment but work equally as well in a wine cellar or at home in the conservatory. 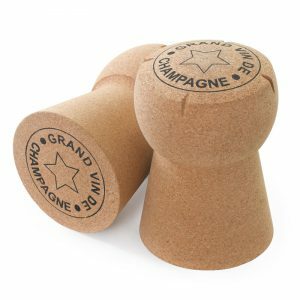 They’re robust, stable and innovative, this funky range of stools are made of 100% sustainable cork from Portugal. If you have an alternatives or have found a great new Champagne gift, we’d love to hear from you, please get in touch with us via Twitter or Facebook!